I’ve been brought up in a city called Belgaum which is sandwiched between Bangalore and Mumbai. One of my favorite things about Belgaum is the fact that it is a mere 150 kms from Goa – which is on an average, a three hour drive. That being said, you can only imagine the number of trips I’ve probably made in the last few years. One of my favorite food joints in Goa is Mickeys. 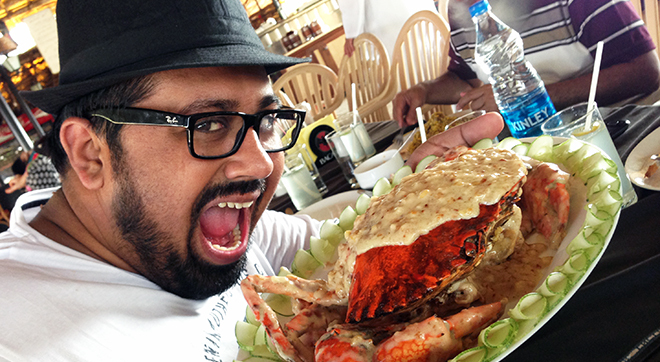 If you like sea food and are in Goa, your trip is not complete without visiting Mickeys which is located at Colva Beach. Talk about Pomfret, King Fish, The Red Snapper, King Prawns, Tiger Prawns, Calamari, Lobster – you name it, these guys have it all. But what I love most there is a good old fashioned Butter Garlic Crab. Every time I’ve dined there, the consistency in terms of taste is just spectacular. The same flavors hit your palette each and every time – which is the hallmark of a great restaurant.